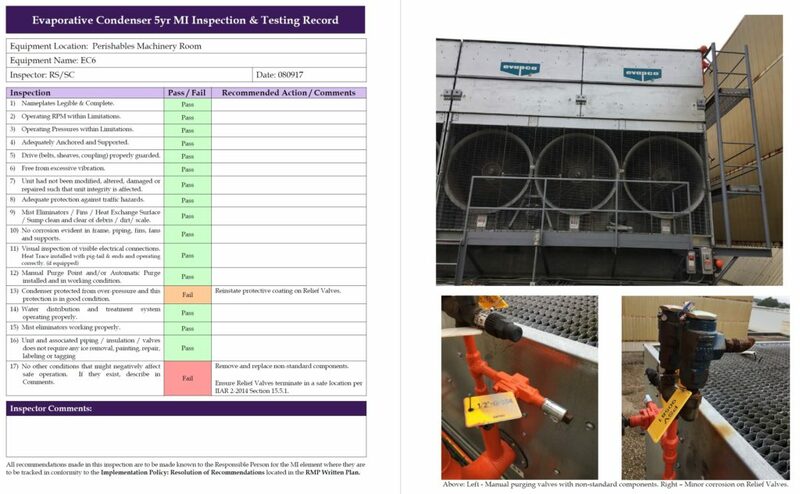 RC&E can provide the required Independent 5yr MI Inspection per IIAR Bulletin 110 for your four PSM/RMP-covered facilities. Examination and evaluation of all ammonia refrigeration equipment and piping. Optional Non-destructive testing of piping and equipment based on the recommendations of the inspection team. Optional Testing of critical interlocks / safeties. Full color Inspection reports with pictures provided of any areas of concern. Email or call us today to have RC&E assist you with all your PSM/RM Program needs!